Grab these Women's New Balance 857 Suede Shoes for ONLY $36.99 (Retail $129.99) - that's a 71% savings! Get superior stability and comfort in a cross-trainer. 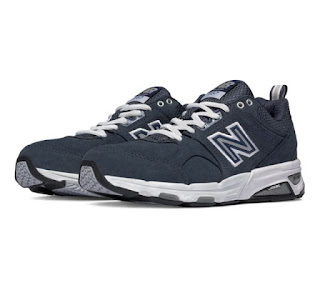 The New Balance 857 features our top stabilizing and shock absorbing technology, including a ROLLBAR with medial and lateral TPU posts, external heel counter, and N-ERGY and C-CAP for comfort.